Because our project was focused on tackling a problem extremely relevant to our society, it was essential that we looked at the impact our project would have and how we could adapt our design according to the acquired information from stakeholder dialogues. Only then would our project have the desired value to be able to contribute to the issue of antibiotic resistance. Developing a detection method in the lab is one challenge, but developing a detection method that could be used in the real world is another, more complex, challenge. The complexity of the challenge in the antibiotic field made it hard to find the niche in which we could apply and validate our detection method. By meeting with experts and stakeholders, we were able to shape our design to fit everyone's wishes as best possible, and make our design relevant and responsible. The timeline of our integrated human practices process is illustrated to give an impression on how our project evolved over time due to interviews with stakeholders, and those we collaborated with. For example, we collaborated with farmer Paul Oosthoek and did experiments on his cow’s milk samples. Additionally, we performed experiments with the isolates gained from the experts Dik Mevius and Fimme van der Wal. Also, veterinarians gave us insights in their documents to gain more knowledge about the treatment procedures. 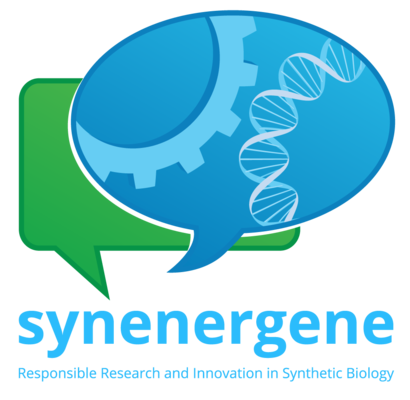 Futhermore, multiple stakeholders participated in our project How can iGEM teams best include Relevance and Responsibility in their Design? In the last section, we summarise the most crucial insights and how stakeholders interactions lead to impressive changes in our experiments and design. In this timeline, we take you on a journey through the evolution of our design. In this tree-like interactive element on this page, you can hover over different icons, that depict important developments in the project. Each icon will fold-out to show the insights and changes we gained together with further relevant information about people/institutions involved. Additionally, our timeline is featured in the second video of our video project! Click on the icons in the timeline, and find out about all the insights we gained from our stakeholders and how the dialogues shaped our project. Not relevant - Which problem will it solve? How will it go to the pathogen in a pool of fishes where the current will be really strong? One of the industries that greatly contributes to the antibiotic resistance problem is the fish farming industry. To achieve high yields and profits, many farmers are now applying intensive farming methods which involves the misuse of antibiotic usage. Our first idea was to solve this problem by engineering a bacterium that can sense the pathogen and swim towards it. After arriving there, a neutralizing agent will either be released or produced and excreted on the spot. Antibiotic resistance shield The overuse of antibiotics has led to the development of antibiotic resistances. Although this problem has already been popping up in scientific and newspaper articles for over 30 years, its threat is one that can no longer be ignored. The US Department of Health and Human Services estimates that annually over 2 million illnesses and 23,000 deaths in the United States are caused by antibiotic resistance. Moreover, it is approximated that by 2050, 10 million people will die annually due to antibiotic resistance. The ‘antibiotic apocalypse’ needs to be prevented, so action should be taken now! During the Benelux Meetup we attend an extensive workshop. ""The goal of the workshop was for each iGEM team to get out of their expert point of view and discover what the needs or problems would be for the end-user of their project. The teams were to find out: What would it mean to use the technology in practice? Three to six people of each iGEM team were coupled to a small group of another team. Next, one team got to shortly explain their project as 'developer'. The other team was to ask questions as 'end-user' about how the use of the technology and its influence on their lives or work. After 15 minutes, the roles were reversed. The experts and alumni iGEM teams were also invited to participate. As described before, combating the development of antibiotic resistances was a project we thought worth working on. Nevertheless, we did not consider the application in fish farms as a feasible option anymore. So, we went back to brainstorming. Here, we thought about a new potential application: fighting (the formation of) biofilms, for example in industrial pipelines and on boat hulls. Additionally, we came up with ideas to remove biofilms from food and plants (Agrobacterium). Nevertheless, all these ideas either had a much easier and well-implemented chemical alternative or they were very questionable with regards to safety (i.e. containment of the genetically modified organism) and effectivity. Luckily, we ran into new possibilities! 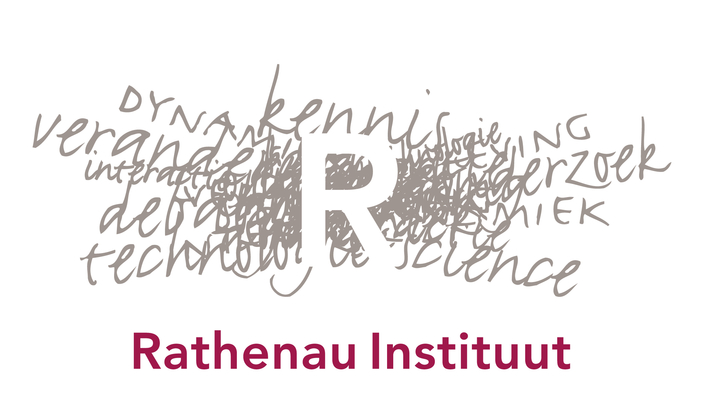 We were invited to the Synenergene event organised by Rathenau Institute. This event was to make iGEM teams realise the importance of performing a responsible research in their project. During the event we came into contact with several stakeholders and experts. The overuse of antibiotics has led to the development of antibiotic resistances. Although this problem has already been popping up in scientific and newspaper articles for over 30 years, its threat is one that can no longer be ignored. The US Department of Health and Human Services estimates that annually over 2 million illnesses and 23,000 deaths in the United States are caused by antibiotic resistance. Moreover, it is approximated that by 2050, 10 million people will die annually due to antibiotic resistance. The ‘antibiotic apocalypse’ needs to be prevented, so action should be taken now! Up until now, we had been focussing on a plan with the protein Cas9. Nevertheless, this was not the optimal protein for what we wanted to achieve. Participating in iGEM, we caught up with the most recent achievements in the synthetic biology field, amongst which a very interesting paper about Cas13a by Gootenberg et al. Their paper indicated attomolar sensitivity in combination with rapid DNA or RNA detection, which would be perfect for detecting antibiotic resistance genes! Simultaneously, team members came up with a completely different idea, based on practical limitations in the lab instead of a societal problem: western blotting. In order to improve on this method, we would require proteins from tardigrades (also known as water bears). Tardigrades can survive under very extreme conditions, such as outer space. Their robustness is (partly) derived from the so-called tardigrade proteins, that protect cell(-structures) and proteins from dehydration and preserve protein activity after drying and rehydration. The western blotting idea was discarded because of practical limitations. Nevertheless, we saw the tardigrade proteins as a perfect opportunity to combine an antibiotic resistance detection system with microfluidics on paper, for which the drying of proteins would be necessary! Now that we were thinking about using Cas13a in combination with paper microfluidics, we wanted a method to make it easier for us to dry the protein on the paper. Additionally, we wanted to do this in such a way that the final product would be cell-free. Inspiration for the solution came from other iGEM teams, who had previously tried to produce vesicles and transport green fluorescent protein in these vesicles. Vesiculation would indeed be a solution to our problem, so it was added as an integral part of our project. Ethical Legal and Social Issues in Biotechnology. We started this course by mapping all factors relevant for our design. We included every possible factor that could in some way be influenced by our technology. The next step was to identify the most important stakeholders and their values. We came up with many values, some were colliding. During this course we had to analyse potential stakeholders and we came up with a value sensitive design. However, we found out that we still had a broad range of stakeholders, leading to many values that had to be integrated. After this course, we really started steering our project towards a more relevant application. We decided that we needed to narrow our scope in order to integrate values into our design. We interacted with many more stakeholders and set up a new value sensitive design. This course was good practice and a good starting point after which the real stakeholder interactions began. Tjerkje is studying higher professional education livestock farming. She helps her dad on his dairy farm. Udder infection (mastitis) is a long-standing disease at dairy farms. Farmers want a faster method to determine which antibiotics to use to treat mastitis if the default antibiotic does not work and if she can do the test herself she would like to, to save costs of the veterinarian. Tjerkje said the most common diseases on the farm are utter infection and claw disorders. The farmers treat udder infection (mastitis) themselves. For this they have antibiotics that they are allowed to inject in the cows. Most of the times this works, but sometimes it does not, then they have to call the veterinarian. They try to do most things by themselves to prevent high bills from the vet. With mastitis they then have to hand in milk for an antibiotic resistance test, this test takes 2-3 days until results come in on which antibiotics to use. Tjerkje wants a faster method and if she can do the test herself she would like to to save costs of the veterinarian. Trade-off between reducing antibiotic resistance or animal health. Farmers are trying to reduce misuse of antibiotics, but if they wait to long with treatment the illness could become worse, resulting in reduced animal health. Gerbrich studies animal sciences. She told us that E. Coli, Salmonella, Streptococcus aureus and Staphylococcus agalactiae are the most common pathogens in livestock farming. Giving preventive antibiotics is not allowed anymore, the rules to prescribe antibiotics are quite strict in the Netherlands for the dairy sector. Every year the veterinarian composes a plan together with the farmer, for which antibiotics are allowed to use for which illnesses. When a farmer wants to deviate from this plan the veterinarian needs to have a written declaration. Every antibiotics used needs to be registered. A farmer can thus inject the antibiotics himself, the challenge is that while farmers are trying to reduce antibiotic usage, on the other hand, if they wait to long with treatment the illness could become worse, resulting in reduced animal health. We asked Gerbrich if there are possibilities to fight multi-resistant bacteria like the salmonella bacterium with antibiotics. She told us that there are still some antibiotics which are used only human. If the veterinarian decides it is necessary to use these, there can be an exception. It is however under strict supervision and noted down which veterinarian prescribes these antibiotics. If antibiotics can no longer be used because of stricter regulations, breeders should focus on health and robustness of the cow. Lower production of milk could also result in a healthier cow because the cow can put more energy in its own immune system. In order to bring the disease burden down, the environment and food for the cow should be adjusted accordingly. The stress on the animal should be minimized as stress has negative effects on the immune system of the cows. According to Gerbrich the solution to the antibiotic resistance problem is further reducing the use of antibiotics in all sectors of livestock farming. Besides this she thinks reducing the transport of animals can improve the situation as then the spreading of the resistant bacteria becomes less. When transport is necessary hygiene is of utter importance! There are plenty of different diseases that play a role in the dairy industry. Fast diagnosis is essential to minimize loss of cattle and productivity, since most illnesses cannot be prevented. While only sick cows are treated with antibiotics, more antibiotics are potentially used in the chicken and pig industry. Para-infectious diseases (spread through manure) are especially tricky. The tool should neither be too complicated, nor take a lot of time. Research into the chicken and pig industry. Research into Bovine Virus Diarrhoea, a para-infectious disease. As a farmer, Machiel aims to deliver qualitatively good cow milk as inexpensive as possible. In 2014 his company started to buy embryos to enhance the animal’s properties through breeding. These are strong races with health certificates. Machiel informed us about different diseases that play a role in the dairy industry, such as Infectious Bovine Rhinotracheitis (IBR; viral) and pneumonia. For some (like IBR), animals can be vaccinated. However, often this is not the case. So, the only thing that can be done to minimize the loss of cattle and productivity, is quick diagnosis of illnesses. Currently, a blood sample takes approximately half a week to be analysed. According to Machiel, no antibiotics are given to cows (in the Netherlands) unless they are sick. This is potentially different in the chicken and pig industry, which he suggested us to look into. Furthermore, he recommended research in para-infectious diseases, i.e. diseases spread via manure (e.g. Bovine Virus Diarrhoea). With regards to our tool, Machiel thinks this would be very useful. However, the tool should then neither be too complicated, nor take a lot of time, as farmers generally do not have much spare time. 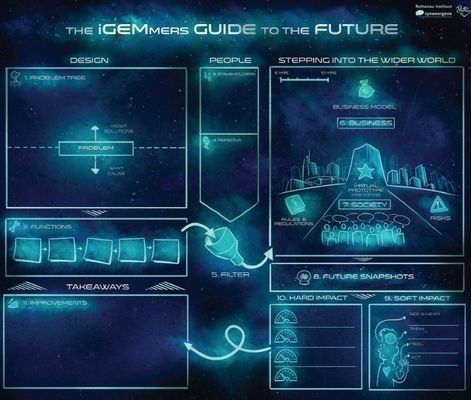 The iGEMmers guide to the future is a tool which helps iGEM teams to incorporate IHP in their project. On this website there are numerous methods on how to tackle several parts of the IHP, such as brainstorm mapping, stakeholder mapping and SWOT (risk analysis). Their goals is for us to do responsible innovation. Senior Policy Advisor for Veterinary Affairs at the Royal Dutch Society for Veterinary Medicine (KNMvD). 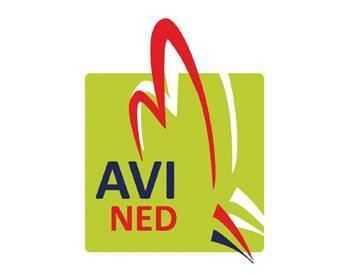 KNMvD is the professional organization for veterinary surgeons in the Netherlands. 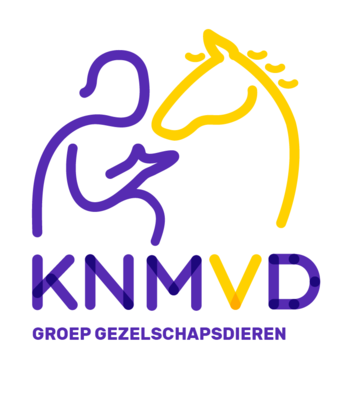 The KNMvD promotes the professional development considering veterinarians in the field of animal welfare, animal health, public health and food safety. The use of formularies by veterinarians considering the bacterial infections and the antibiotic treatment per animal specie. The insights of the methods (formularies and guidelines) veterinarians use, gave us insights in how our detection method could add value to the current regulations concerning antibiotic treatment. We found out that the treatment per animal disease is very specific, and that we had narrow our scope to one animal disease to add value. In the future, the detections methods could be slightly adapted with regards to a specific animal disease. In the interview with Mark we discovered that detecting antibiotic resistance in bacteria is a rather challenging process. There are roughly 61.000 resistant genes and 24.000 genes are unique. Furthermore, even if it is found that the patient has antibiotic resistant genes it does not necessarily mean that this bacteria is the pathogen. In this interview, we realised that our final product of our project should be a device you can use on-site. Additionally, Mark mentioned several companies where they are developing techniques for the detection of antibiotic resistance. He also suggested to look what the farmers are doing now as a protocol when discovering that one of their cows got an infection. With this we could really state where the added values of our project lies. So, the detection device that we are making should be accurate of which antibiotics the farmer then needs to use. Korienke Smit and Cécile van der Vlugt gave insights on the political agenda concerning antibiotic resistance. This way, we were able to make an overview of the most important European and Dutch institutes and agencies. Besides new vaccines and new prevention strategies to tackle the infectious diseases, and besides the need for new antibiotics and new therapeutics, the increased use (including overuse and misuse) of the available antibiotics (ref. The Netherlands Center for One Health (NCOH)) should be stopped. The detection method could be used as frontline diagnostics and could be the key for new treatment strategies. Besides designing in a relevant for the field, the acceptance of our detection method was considered. We aimed to design a detection method that could be broadly implemented to detect resistance on the spot. The public should be comfortable to use our method. Our idea was based on detection with GMOs with a kill-switch on a paper-chip. However, considering safety and public acceptance, we have chosen not to use GMOs in the environment, but only the products of the GMO. Taking into account the public opinion on GMOs and bacterial resistance, we aimed to design a product that looks as safe as possible to make the public comfortable when using our detection method. After mapping and interviewing different stakeholders, we were able to make a Value Sensitive Design of our project. In an extended report, we considered stakeholders values (including the values of iGEM) and translated these values to design requirements (figure hierarchical structure). We adapted our design and our project accordingly. On different levels, policy-, competition-, and user level, we investigated the values that our design had to meet. How we translated the values of the stakeholders to design requirements can be found in the figure about the Hierarchical Nature of Values (figure 1). Even though some norms were contradictory (as can be seen figure 2, summary values and norms) , we aimed to meet all the norms and values as good as possible. Figure. Hierarchical nature of values filled in for our home detection kit. Michelfelder et al. (2013). Figure. Figure. Summary of values and norms (based on concerns and potentials different actors see) in the design process. Model inspired by Investigating Ethical Issues in Engineering Design (van de Poel, 2001). In the poultry industry, Salmonella is a big problem. Look further into the Salmonella problem by contacting AVINED and the slaughterhouse/diagnostics centre. Sjouke Hoekstra is a chicken farmer who has been battling salmonella for a long time. A new policy set up to tackle antibiotic resistance problems says that chickens that test positive for Salmonella have to be slaughtered immediately. In an attempt to prevent salmonella from spreading, Sjouke has spent a lot of money on different cleaning methods. However, the underlying, fundamental cause of the salmonella problem was never really looked into. Sjouke believes that his chickens were infected via their food, which is derived from the Yucca plant. Sjouke recommended us to dive deeper in the salmonella problem. For this purpose, he referred us to the company AVINED. Furthermore, we could contact the slaughterhouse, to which the diagnostics centre is connected. Rik te Loo did not see any connection with the salmonella chicken challenges and the our detection method, because the treatment of Salmonella with antibiotics is currently forbidden. Antibiotic regulations considering chickens are currently. Veterinarian, works for RIVM, research on if antibiotic resistance is transferred from animal to human and via which ways. Milk samples from cows that have mastitis but are not cured by certain antibiotics are not always sent to the lab for test, because it costs time and money (2-3 days). Sometimes farmers thus already administer other antibiotics not knowing if it might work. Taking a milk sample is the best sample for our tool. Extended-spectrum lactamases can break down a lot of types β-lactam antibiotics and thus can make a large group of antibiotics inactive. Milk samples from cows that have mastitis but are not cured by certain antibiotics are not always sent to the lab for test, because it costs time and money (2-3 days). Sometimes farmers thus already register other antibiotics not knowing if it might work. When the milk sample goes to the lab, the untreated milk is plated on different agar plates. When colonies have grown, the microorganisms are often colored and examined through the microscope. Also, biochemical tests are done to see which compounds the bacteria can convert. When a cow has clinical mastitis (visible symptoms), it is most likely that one type of bacterium is the cause. There are 6 types of known, common pathogens for mastitis. Engeline tells us that farmers would like a on site test for which antibiotic can or can not be administered. She thinks that within several years whole genome sequencing will be the golden standard. We asked Engeline what is the most appropriate sample for detecting antibiotic resistance. She tells us that feces contains too many bacteria, blood is supposed to be sterile but is not common practice and thus economically not so attractive. Urine samples are often used with pet animals. Milk would be most suited as this is has little bacteria, only skin bacteria and the pathogens causing mastitis. When asked about the most occurring/challenging bacterial infection in cattle, Bouwe Frank pointed us towards mastitis. This is in an infection of the udder. The problem with mastitis is that it can be caused by various bacteria. If you are interested in detecting antibiotic resistances in the case of mastitis, you will thus first have to establish which pathogen you are dealing with. How the current process goes, is that a sample of a sick animal is sent to the GD Animal Health. They cultivate the sample to see what bacteria causes the disease. Often, an educated guess considering the pathogen can be made. If the test is positive, the animal can get a suitable treatment. If not, the test is repeated under different conditions. These tests are not based on detecting antibiotic resistances, because this takes more time and money. Bouwe Frank referred us to the GD animal health to get a better insight in the current diagnostics process through the veterinarian laboratory. 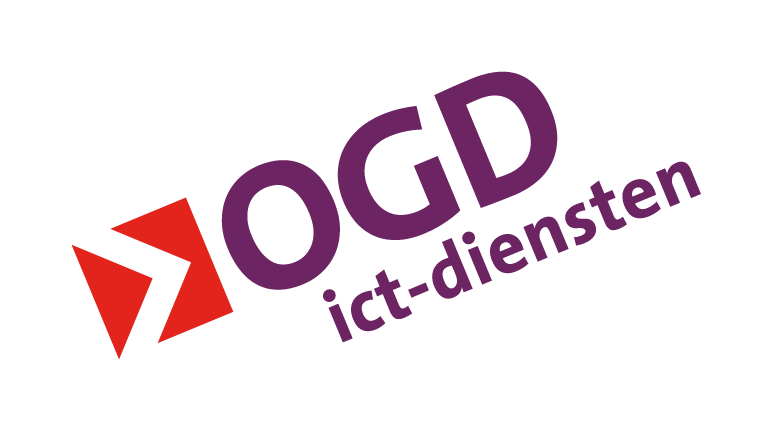 A valuable person to contact is Ynte Schukken, who is connected to the GD animal Health and professor at the Groningen University. Maaike van den Berg showed told us about the current policies on antibiotics and how she as a veterinarian uses the formularies. Also, she gave us insights in her tasks as a veterinarian and how she prescribes antibiotics based on the results of the diagnostic center. Diagnostic centers do pathogen detection and determine the sensitivity for antibiotic resistance subsequently. In two to three days, the results include the pathogens sensitivity for all potential antibiotics. As we only could detect one kind of antibiotic resistance, we decided to scope our detection method on the most common mastitis pathogen, which is Staphylococcus Aureus. After an elaborate conversation with the Lotte Roos from GD, she sent us the annual report on monitoring pathogen sensitivity. This way, we gained insights in the trends considering resistance of mastitis pathogens. The sensitivity for penicillins is rapidly decreasing or there was no sensitivity. Paul Oosthoek is a dairy farmer at Oosthoek en Zn VOF. He explained about the protocols they use in cause of mastitis diagnosis. Paul elaborated on the mastitis problem by stating that cows can pass on the (potentially multiresistant bacteria) to their calves, further increasing the spread of antibiotics. Beyond the borders of the Netherlands, milk farmers have bigger challenges with antibiotic resistance. “Resistance transfer is a major challenge beyond the borders as antibiotic remainders can be found in food from cuttle.” In the Netherlands, this seems less of a problem, according to Paul. “We need to be sure that no antibiotics remain in the milk before we can sell the milk”. “Since two years we are breeding cows that are healthier and have more resistance against diseases. We treat mastitis with the antibiotic Ubrolexin in a late stage. In this stage the udder looks red and infected”. Paul is able to check himself whether or not the cow has mastitis in early stage. “If the cow has mastitis, the milk texture is different. In this early stage, Ice Mint, a treatment salve, can do the trick and cure the infection”. Paul told us about new techniques in the market, like the milk robots that detect the potential of mastitis. “Measurement on the milk conduction can predict whether or not a cow is infected with mastitis”. During this interview, we gained knowledge on current methods to identify pathogens and determine the sensitivity of these pathogens. These detailed methods will be necessary to follow trends and to validate current treatment and diagnosis. Furthermore, mastitis can be caused by different pathogens and it hard to identify which pathogen cause the disease and subsequently, identify which resistance genes this pathogen has. The milk robots are the new technologies in the field to detect and count cells in the cow's milk. The amount of cells (>25.000) is an indication for mastitis. For antibiotic detection, most research is currently focused on real time PCR with specific probes that anneal to the antibiotic resistance genes. This method is comparable to our method, as specific primers are required per resistance. We decided to try out the Milk DNA Isolation Kit to be able to compare our boiling method with a commercially available isolation method. Dik and Fimme do research on the development of diagnostic tools for pathogen resistance detection in the bioveterinary field. In S. aureus, blaZ is relevant when looking into the β-lactamases. Other β-lactamases are not relevant enough. BlaZ produces small-spectrum penicillinases. This means that benzylpenicillin, ampicillin and amoxicillin antibiotics, common first and second choice antibiotics that are empirically used by the farmer to treat mastitis, can not be used is blaZ is detected. Rapid detection of this gene could prevent the misuse of penicillins by the farmer and gives reason to directly prescribe other treatments. From the policy perspective, the presence of blaZ has a lot of impact. The mecA gene is also relevant to detect as this gene makes the pathogen resistant against all β-lactam antibiotics, leading to the well-known disease MRSA. The experts revealed insights for the key of success. Furthermore, they told us that farmers are able to work with tubes and pipettes. Farmers are willing to invest and follow a more challenging protocol if time for a good results. Reflection. What is beyond the scope of iGEM and what is things we still can include? The need is to identify which AB is relevant to use when facing a disease. Our tool gives insights in which ABs not to use. Although we think that our strategy will help to reduce the abuse of antibiotics, the question in the market is slidely different. Prototype tests should give insights whether are device is relevant enough to tackle current challenges. What happens if there is a false positive or a false negative? Develop an easier RNA extraction (specialist should look into this): Adjusting the detection protein to detect the DNA directly instead of the RNA. This would take a step of reverse transcription out of the protocol and make the assay more direct instead of indirect. Concluding, we reflected our project with the different roles to make sure we did not miss anything. The workshop made us aware of the future challenge considering our project. Due to the reflection we gained insights in which things were beyond the scope of the project and we identified things we could still integrate in our project to make our project more relevant and responsible. Thinking from these four different perspectives was really effective. We were able to reflect the project on different levels, even though the team composition was balanced more towards the experts and system integrators. The goal of the workshop had two sides. For iGEM, this workshop will be a design evaluation/reflection exercise. For the CEE it is important to receive feedback on the Engineering Roles; possibly determining more engineering roles and match specific skills with the roles. To conclude, we reflected on our project with the different roles to make sure we did not miss anything. The workshop made us aware of the future challenges considering our project. Due to the reflection we gained insights in which aspects were beyond the scope of the project and we identified aspects that we could still integrate in our project to make our project more relevant and responsible. Thinking from these four different perspectives was really effective. We were able to reflect on the project on different levels. The Medical Delta Café is an event that brings together innovators from the Life Sciences and Health & Technology sectors. Doctors, researchers and entrepreneurs discuss and present opportunities for research cooperation and our product development. 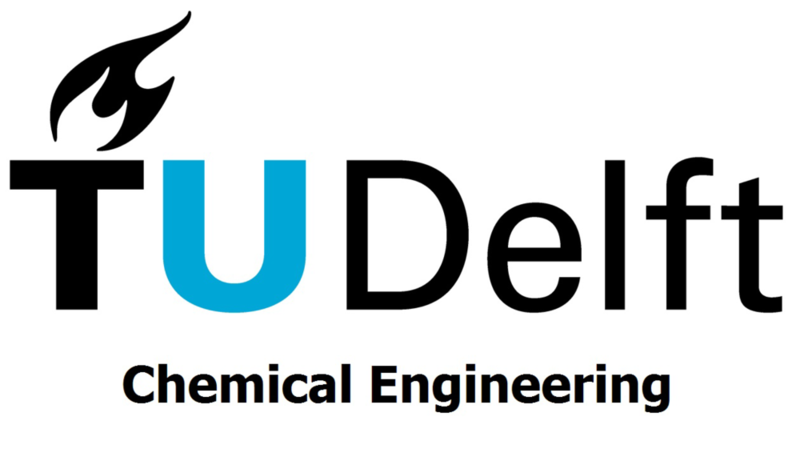 iGEM TU Delft attended the Dutch Biotechnology Conference, organised by the Dutch Biotechnology Association (NBV). The NBV is an association for all professionals in the field of Applied Life Sciences, a valuable network with over 1000 members from different disciplines, from the business sector to education. We gained feedback on our project helping us to shape our project. During the knowledge parade, we met some farmers and doctors. Here, we gained more insights in the needs and the challenges in the field, like the demand for resistance detection for specific genes in the intensive care. Investigating the needs in antibiotics field, we visited our general practitioners. They confirmed that there is a demand for diagnostic tools that reveal antibiotic resistance. Doctors seem to face challenges considering viral or bacterial infections, the identification of the pathogen causing the infection, resistance detection and the susceptibility to existing drugs. See our applied design page. We also received feedback on how we can improve our device. Paul stated that it would be better if the test really showed which specific antibiotic should be used for treatment, instead of knowing which antibiotics should NOT be used. We completely agree with this statement; finding out which antibiotic to use is more effective in helping to solve the worldwide antibiotic resistance problem. Another piece of feedback was to use larger test tubes for the detection. Currently, we use 1.5 mL eppendorfs in which the detection is done. Paul recommended to perform the detection in larger tubes to increase the visibility and to be more user-friendly. See our applied design page and our demonstrate page. There were several interactions with stakeholders that heavily impacted the direction of our design. 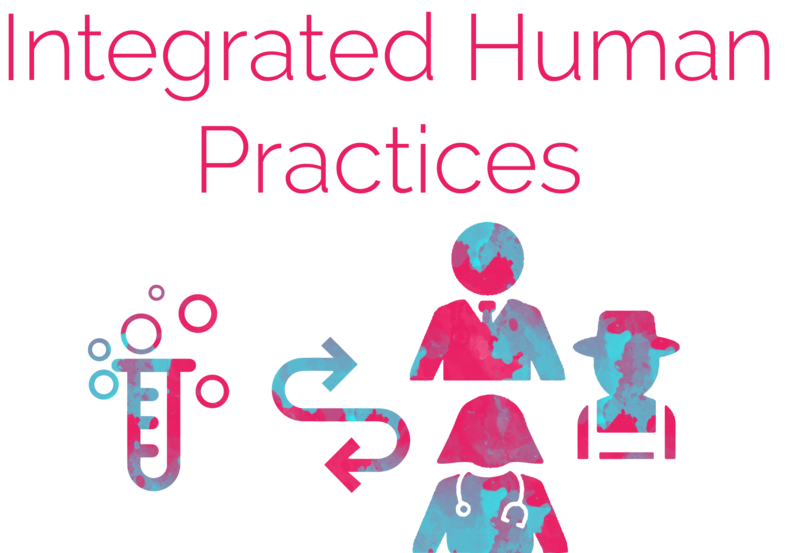 Integrated Human Practices was extremely valuable in shaping our project. 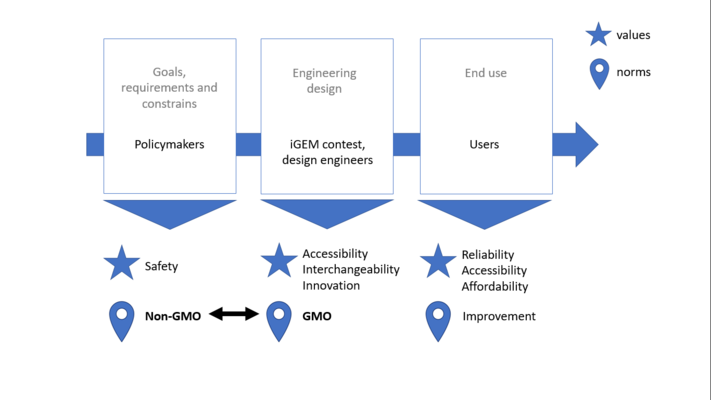 In response to dialogues with the public, risk assessors, and potential users, we changed our design from a GMO-based lab tool to a safe and reliable end product. Key points that we took from discussions with stakeholders were that the method needs to combine a simplified sample preparation, a fast, easy readout and the possibility for on-site use. We integrated all these in our project, by designing a cell-free method that can be stored for up to two weeks and produces a visible readout. We started by finding a relevant case in which our device could make a contribution. Through a conversation with a veterinarian, we were advised to narrow our scope to mastitis, an udder infection affecting dairy cows. This infection is not easy to get rid of; udders are exposed to the open environment, making the infection a common re-occurrence. 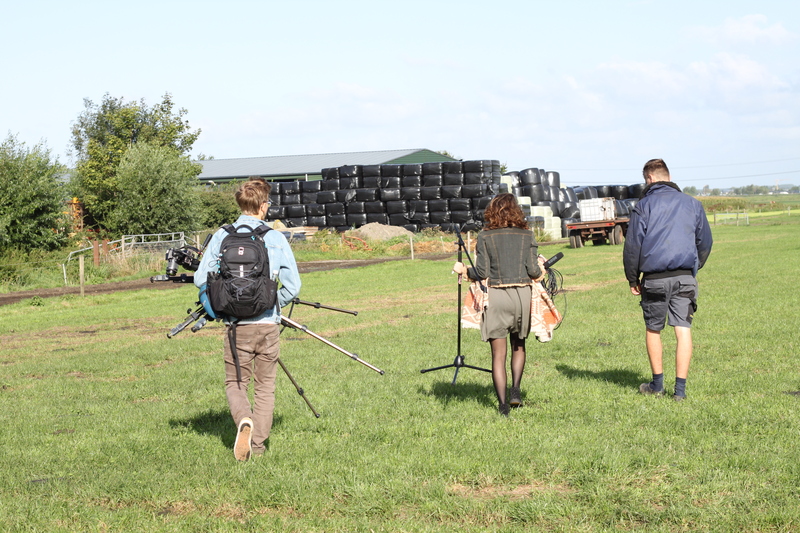 All dairy farmers we spoke to in the Netherlands have had to deal with mastitis. Farmers want to have fast administration of antibiotics when treating this disease, as time is of the essence. Our tool makes sure that fast treatment of mastitis can be done in a responsible way, without misusing antibiotics, thereby helping to prevent the evolution of antibiotic resistant bacteria. Looking to mastitis, we adapted our tool to detect relevant resistance genes in the common pathogen, Staphylococcus Aureus (SAU), causing this disease. After talking to experts with expertise in mastitis from the Wageningen Bioveterinary Research Center in Lelystad, we found that detecting the mecA and blaZ genes was the way to go. For further information about these genes check out our applied design and demonstrate page. After defining our end-users and detection goal, we looked at how we could make our device as user-friendly as possible. From the start of our project, we wanted to integrate the use of tardigrade intrinsically disordered proteins (TDPs) which are able to maintain the functionality of other proteins upon desiccation. This fitted perfectly in our design with respect to our end-users, as our TDPs enable the transportation and storage of our detection tool at room temperature. Normally, protein function can be maintained when stored at -80 degrees celsius, something that is not always available at your local dairy farm! We also envisioned that this improved storage method will be advantageous for shipping our versatile RNA-detection tool for broader applications. For further information on our TDPs, check out our TDP design page. Adding to the storability, we realised that our tool needed to give a readout visible to the naked eye. At a farm, there are no fancy lasers or microscopes, so we had to get creative! We started by designing a microfluidics paper chip with GMOs with a kill switch to detect resistance genes, but gained crucial feedback on this. This led us to come up with a new application: CINDY-Seq. This method allows for a simple yes or no answer to the question: is the pathogen causing mastitis in my cow resistant to penicillins, or even all β-lactamases depending on the design of Cas13a, in a matter of hours, without the use of GMOs in the environment. For more information on how CINDY-Seq works, please visit our coacervation design page. Now that we completed the design of our detection tool, we needed to look at how we could make the sample preparation as simple as possible for a farmer, as farmers like to do most things themselves. In the case of mastitis, the pathogen is present in the milk of the infected cow. By hitting the books and optimising existing protocols, we came up with an easy method to prepare a fresh milk sample for the detection tool. To know more about which methods we came up with, look at our sample prep design page where we describe this extensively. Finally, our integrated human practices strategy helped us to think a step further about our design, regarding, for example, the costs involved in our device and what it should actually look like; what kind of ‘kit’ will it be and what will it contain? We also looked at the feasibility of our device in the context of whether or not farmers would actually be allowed to use such a device and what needs to be done considering legislation to make this possible. Stakeholder interactions shaped our final design and made it feasible to transform our detection method into an application, resulting in a toolbox with which the farmers can perform the resistance test themselves on-site, instead of being dependent on slow lab processes. Simple, cheap and safe methods - for example the hand-powered centrifuge and boiling method during sample preparation, together with an optimized readout - make our device applicable for rapid frontline diagnostics. We developed our toolbox to detect the most relevant multiple antibiotic resistance genes, expanding the impact of our product to achieve better animal and human treatment strategies, see our applied design page for more info!